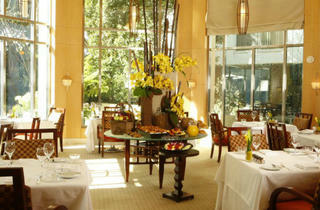 Photo Courtesy L'Ermitage Dining room. 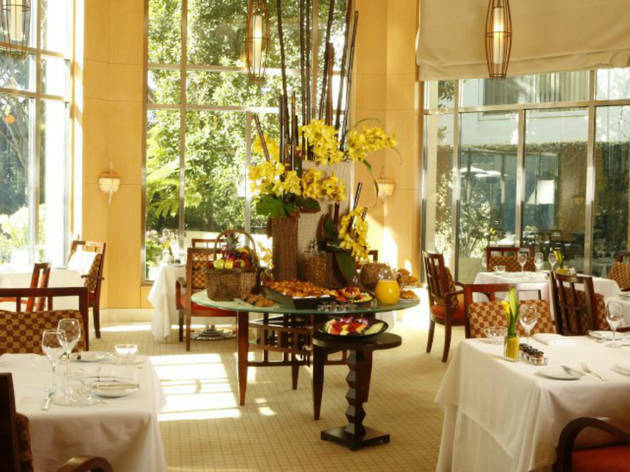 Celebrate the beginning of spring (and for some, the end of Lent) with the Children's Easter Egg Hunt and Easter Brunch at Livello at the L'Ermitage hotel. Chef Benjamin Dayag's menu will include smoked salmon, grilled pork loin with chimichuri and red wine–braised veal cheeks topped with a creamy side of Brie polenta. A spread of candy-filled eggs and glasses of sparkling mimosas will keep the adults happy while the kids go for the Easter egg hunt and face painting sessions.